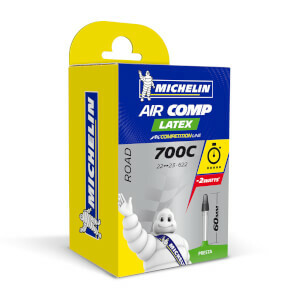 The Michelin Aircomp Latex Road Inner Tube features natural elasticity to reduce rolling resistance. 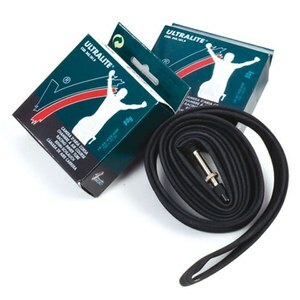 Weighing just 70g, it's one of the lightest inner tubes available on the market. - A.D. So far so good. I air up the tires before every ride, so air migration is no issue. Love the supple feel latex gives to Conti Grand Prix 4000s II's. Lower rolling resistance with an already a fast tire........Good Combination. Pairs well with high tpi or cotton spun tires. Very impressed with how smooth they are with Vittoria open Corsa tires very very smooth. Good construct. With the winter condition, our Canadian road suffer a lot, so if you are a bikker, just like me, you hate a flate tire due to a bump, crack or bad road condition. Each year a put a brand new Micheln A1 Aircomp latex road inner tube and guess what..?no more flate tire!i just love that latex!! If you buy ' GOOD ' clinchers & want a smooth, fast ride look no further. 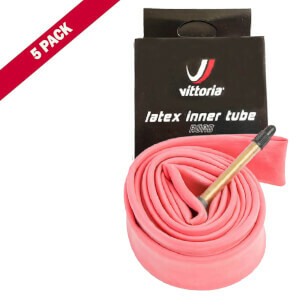 Yes they're a bit more expensive than butyl tubes, yes you need to be careful when fitting ( cover the tube in talc is a smart move ), & yes you'll need to pump them up before every ride. But if you can put up with that faff, & find the rite tyre pressure for yourself, you'll have a much smoother enjoyable ride. Because of he reviews on latex tubes I bought them with Michelin Pro4 Endurance V2 tires. Since I changed tires and tubes I'm not sure which products get the kudos. The ride is very nice and fast. Cons: because they are very soft; it helps to give them a little air when installing and the generous use of talc. They do lose air faster than butyl tubes. I check and air up daily. Butyl lost about 15-20 PSI and the latex 30-35 PSI. This can be seen as a plus because it would encourage checking tire pressure often. As one of the other reviewers posted I carry a butyl spare. Excellent tubes- really an upgrade to your ride quality, even if they do lose pressure more quickly. 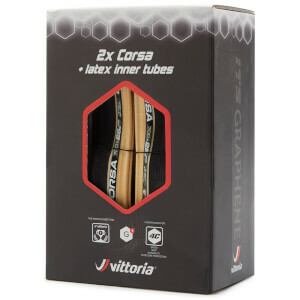 The only latex tube that is for 23mm tyres. Michelin have really gone down hill. The latex will only last about 18 months & go sticky. When they were made in France they would last years. I still use them because they are the best of what is around, but must be changer regularly. Really good value product, noticeably improves rolling resistance. No issues with punctures (so far), you do have to check the tyre pressures each day as they do seem to lose pressure slowly. Added bonus with them being green/blue it is easier to ensure you don't nip them when changing tubes! recommend this product.